Instantly downloadable sheet music (Musiknoten zum herunterladen und ausdrucken) von Josh Groban for piano solo of MEDIUM skill level. 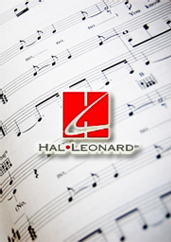 Instantly downloadable sheet music (Musiknoten zum herunterladen und ausdrucken) von l’Hon. Judge Routhier for piano solo of EASY skill level. Instantly downloadable sheet music (Musiknoten zum herunterladen und ausdrucken) von Joyce Schatz Pease for piano solo of EASY skill level. Instantly downloadable sheet music (Musiknoten zum herunterladen und ausdrucken) von Christos Tsitsaros for piano solo of EASY skill level. Instantly downloadable sheet music (Musiknoten zum herunterladen und ausdrucken) von Friedrich von Flotow for piano solo of EASY skill level. Instantly downloadable sheet music (Musiknoten zum herunterladen und ausdrucken) von Luigi Denza for piano solo of MEDIUM skill level. Instantly downloadable sheet music (Musiknoten zum herunterladen und ausdrucken) von Bert Berns for piano solo of EASY skill level. Instantly downloadable sheet music (Musiknoten zum herunterladen und ausdrucken) von Carl Smith for piano solo of MEDIUM skill level. Instantly downloadable sheet music (Musiknoten zum herunterladen und ausdrucken) von Ronald Bennett for piano solo of EASY skill level. Instantly downloadable sheet music (Musiknoten zum herunterladen und ausdrucken) von Sam Dees for piano solo of EASY skill level. Instantly downloadable sheet music (Musiknoten zum herunterladen und ausdrucken) von Randall Hartsell for piano solo of EASY skill level. Instantly downloadable sheet music (Musiknoten zum herunterladen und ausdrucken) von Harry Emerson Fosdick for piano solo of MEDIUM skill level. Instantly downloadable sheet music (Musiknoten zum herunterladen und ausdrucken) von John Wyeth for piano solo of MEDIUM skill level.